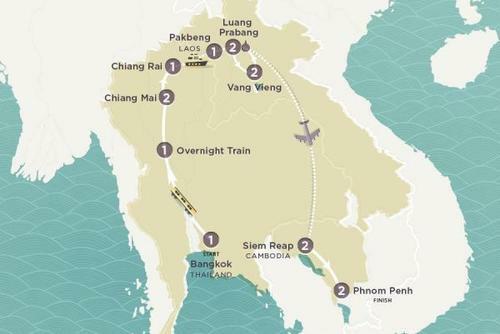 Delve deep into Cambodia’s intense history on this twelve-day trip around the country. 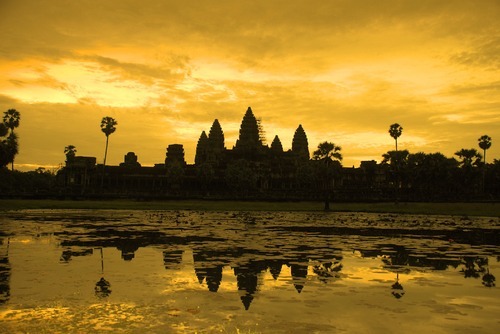 We will soak up the ancient jungle atmosphere of Angkor Wat and enjoy Siem Reap’s laid back charm. We travel off the beaten path to visit sacred temples and experience local village life. In Phnom Penh, we will take in the historic center and explore the riverside colonial architecture of this growing capital city. We finish up with some beach time on the beautiful Cambodia coast, where the old colonial retreat of Kep lets us unwind and soak up the sun. Connect with Cambodia’s resilient and friendly people and learn about the many ingenious ways they are helping their country. 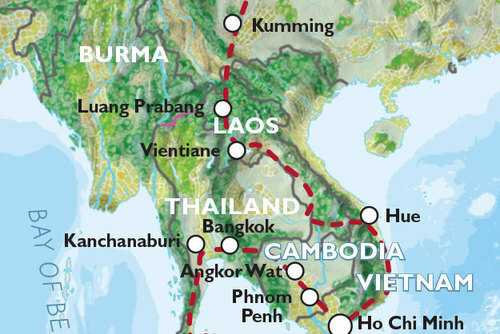 All along the way we will visit local NGO projects, eat at great restaurants in support local communities contributing to a variety of social enterprises as we are captivated by colourful Cambodia! Day 1 –Siem Reap: A Cambodian welcome! Welcome to charming Siem Reap which will serve as our base for the next few days while we explore the magical ancient site that is Angkor Wat, a true wonder of the world. A private airport pick up takes you to the resort to settle in before you meet with our guide. Then it’s off to explore for the afternoon! We will head to Banteay Kdei, one of Angkor’s lesser-visited temples, to soak up the peaceful energy and spot a rare Buddha statue in this Hindu compound. Afterwards we set off for gondola-style boat ride through the moat waterways of Angkor Thom. Our expert local guides help to paint a picture of what ancient Khmer life was like while you soak in the sunset with a drink in hand. Our hotel for the night is the beautiful boutique Shinta Mani Resort, where the efforts of the Shinta Mani Foundation are supported by the donation component of our trip. The day starts early as we make our way to Srah Srang and Ta Prohm, two of Angkor’s most recognisable temples. Here huge temple stone blocks have merged with the dense roots of the surrounding jungle to create a truly unique atmosphere. Take your time to explore the compound before we continue our ride to the banks of Srah Srang for a peaceful breakfast. Our morning ends at Ta Keo Temple, or “mountain with bronze peaks” named for its admirable five-tiered pyramid structure. After an independent lunch break back in Siem Reap town, we head out again, this time to visit the former Khmer empire capital, Angkor Thom. This stunning compound consists of seven temples each with their own unique style. We will see the enigmatic faces of Bayon temple, imagine the return of a victorious army from the Terrace of the Elephants and notice the detailed carvings at the Terrace of the Leper King. In the cool shade of Wat Tang Tock we will receive a traditional monk blessing before visiting the picturesque structures of Preah Paliday and Pimeanakas. Our temple explorations end with the option of watching the tropical sunset under one of the five massive towers of Angkor Wat. We finish the day with a winning mix of creative local cuisine at Marum restaurant, named after the Moringa ‘tree of life’. Today’s early start lets us watch the sunrise from the west gate of Angkor Wat, a truly special experience. The morning lends itself for easy further explorations of this sprawling site. Once you have soaked up your fill of wonder we will return for a quick independent lunch in Siem Reap. 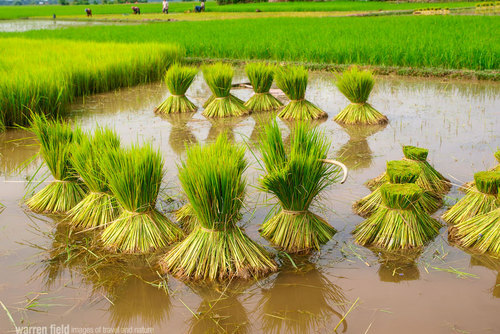 In the afternoon, we ride past countryside rice fields to the traditional village of Komphiem where we can dive into daily local life. We will visit the village pagoda and local school before stopping by the HUSK NGO program to learn more about their efforts to engage the community around the issues of safe water, livelihood and education opportunities, health services and environmental conservation. In the evening we have the option to enjoy sunset drinks and a beautifully prepared meal in a traditional Khmer village home surrounded by rice paddies. For our fourth day, we set off through the countryside headed towards the formidable eco-system of Tonle Sap Lake. 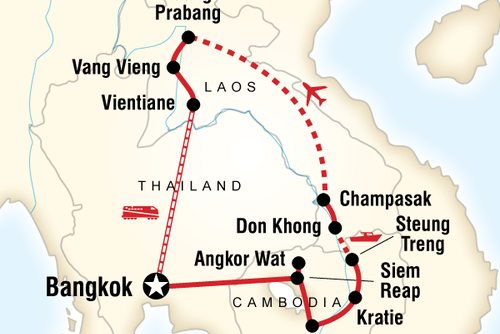 Along we way will stop at Beng Mealea Temple, believed to have been a source of style inspiration for Angkor Wat. Bring your sense of adventure as we climb over stone blocks and walk through the narrow passageways of this ancient spot. 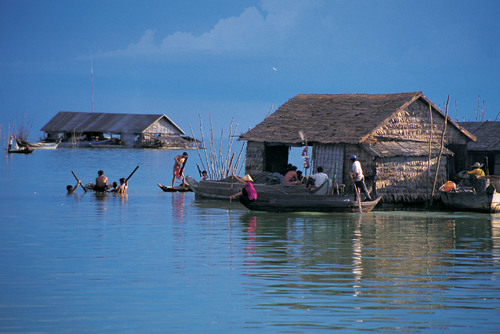 Then it is on to the unique floating village of Kamong Khleang, one of the largest settlements on the lake. 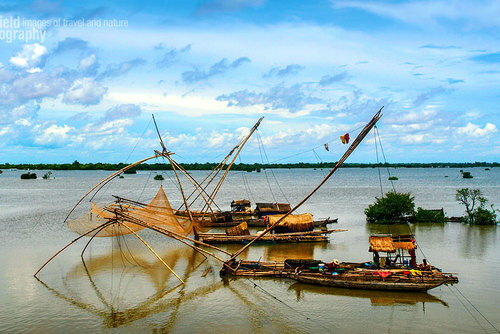 Here we will see the art of living on the water, mastered by the local villagers over the course of time. We will travel on the traditional boats and visit a local home for a picnic lunch while we talk with our hosts about their special way of life. Afterwards we continue to explore the small island and connect with the friendly people by visiting the buzzing market, a village pagoda, the local school and a health centre. Our full day ends with the evening at your leisure back in Siem Reap. Today has us out and about exploring heights of Phnom Kulen mountain range, which sits just north of Siem Reap. 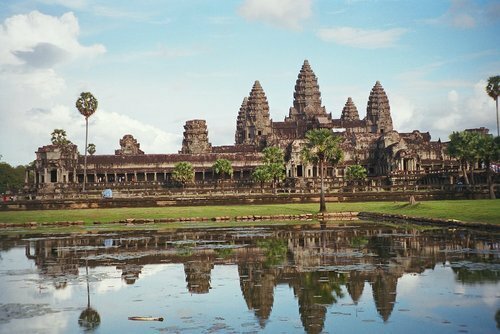 This mythical site is regarded by the Cambodia people as the birthplace of the Khmer empire. We will visit an eight meter long reclining Buddha and purify our minds and bodies by washing our hands at the famed Linga statue. Afterwards, we take a refreshing dip in the cool pools of a beautiful waterfall next to the unusually-named River of One Thousand Lingas. We will stop for lunch at a local restaurant for some tasty treats before moving on to Banteay Srei temple, which is a jewel of Khmer art. Here the red sandstone walls are intricately decorated with elaborate carvings in the Khmer style. Before we return to Siem Reap we will make one more stop to the intriguing Landmine Museum of Mr. Aki Ra who has dedicated himself to clearing landmines left behind from Cambodia’s tumultuous history. Here we learn about this important work and the valiant difference one person can make. For a great end to the day, we will dine at Haven Restaurant, which combines fine food with a good cause. 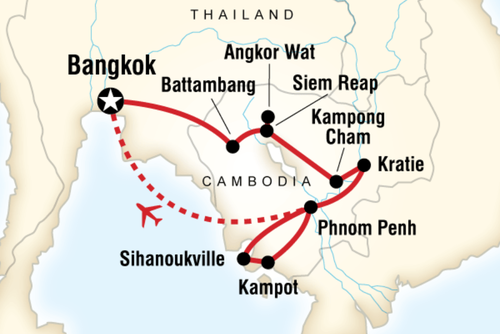 Today we leave the peaceful temples of Siem Reap and head by road to the bustle of Phnom Penh, Cambodia’s capital. This fascinating city offers a special blend of rich Khmer past, colonial charm and dynamic development. After settling into our accommodations the day is yours to rest or explore the city independently. After breakfast, we set out for a day of exploring Phnom Penh’s ancient, royal, and more recent history. 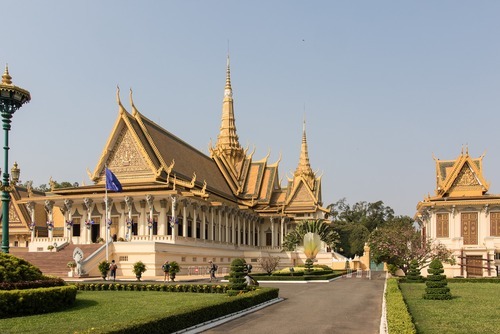 We start with uncovering the legend of Lady Peng at Wat Phnom before heading to the Royal Palace and Silver Pagoda, two of the city’s most striking buildings. Considered to be some of finest examples of Khmer architecture, we will explore the inner buildings and stupas historically used for rituals and burials. 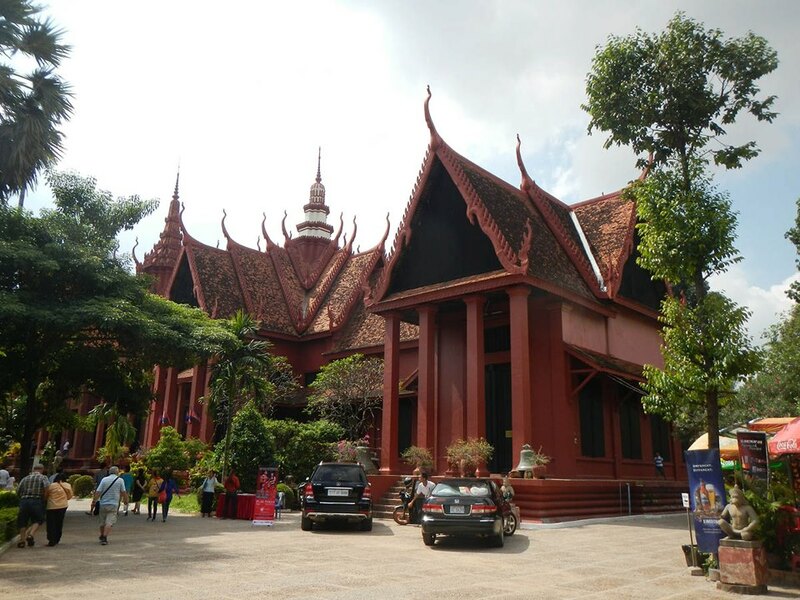 Afterward, we go to the National Museum from some beautiful examples of Khmer art from different periods of Cambodian history. We take a break for lunch at Friends Restaurant, a special spot where creative Khmer cuisine meets local social enterprise. The afternoon will see a slight change of pace as we head for a more somber education into Cambodia’s more recent and turbulent history. We will visit Tuol Sleng, a former Khmer Rouge interrogation prison that is now home to the Cambodian Genocide Museum. Then we visit Cheung Ek, the famed Killing Fields, situated just outside of Phnom Penh for a chance to better understand the struggles faced by the Cambodian people and their tremendous courage to move on and rebuild their nation. The evening is yours to reflect back on the experiences of the day, unwind and relax into Phnom Penh evening culture. We start the day with an exciting tri-cycle ‘Cyclo’ tour through narrow streets and passageways of the Phnom Penh in search of the city’s best architecture. Keep your eyes peeled for a unique mix of influences from Khmer details to French Colonial style. Together we will follow our passionate local guide past fading churches and Chinese temples on our urban explorations. Our ride finishes back at the hotel in time for you to grab a bite of lunch and take a well-earned dip in the pool. In the afternoon we get together for a traditional dance workshop with the friendly team from Cambodian Living Arts Association. Learn about the intricate costumes and the fundamental movements that distinguish this dance tradition. After we have worked up an appetite we indulge in the classic colonial pastime of High-Tea, in the well known watering spot of the Foreign Correspondence Club bar. We will be joined by a resident representative of an internationally recognised NGO operating in Cambodia, for a chance to learn about the active NGO scene in the country and the development and sustainability issues being faced. We then continue the evening with some fine dining at the well-regarded Topaz Restaurant before we return for a restful night’s sleep. It is time for a few days at the beach as we leave Phnom Penh for the old colonial resort town of Kep, where warm beaches and palm trees wait to greet us. After we settle into our socially conscious and eco-friendly resort, the day is yours for beach relaxation. We suggest you finish the day taking in the sunset over a fantastic feast of local seafood. Today the morning is yours to soak up the sun or explore what Kep has to offer. Options include a visit to the famous Kep pepper farms, walking a butterfly filled trail in Kep National Park, going for a sail or hanging out waterside. Have an independent lunch before you join us in visiting one of the local community projects supported by the resort, where we can learn about the important local efforts of their foundation. We head out this morning for a day of rustic beachcombing fun at Koh Tonsai, also known as Rabbit Island. While we won’t spot any actual rabbits we will have plenty of sun, sand and surf. Swim in the warm water, head out for a snorkel or take a leisurely walk around the island for a great way to spend an easy tropical day. We head back to shore before the sun goes down for a relaxing dinner at the ever-popular Sailing Club. On our last day we bid farewell to the Kep’s seaside breeze and at noon make our way back to Phnom Penh. There is time for some last minute independent explorations before a private airport transfer sends you to your onward travel. Your Impact: You will be supporting the Small Business Start-Up Program of the Shinta Mani Foundation, based in Siem Reap. 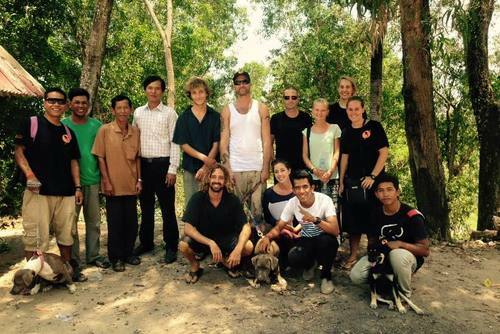 Working in the areas of education, healthcare, and business development the Foundation focuses on empowering individuals living and working in the Siem Reap area. The people of Cambodia have a faced a number of harsh realities in their recent history, including years of colonialism, a bloody civil war and an infamous genocide. After years of bloodshed, isolation, poverty, and political instability the Cambodian people show their unbreakable spirit as they continue to rebuild their country. Their resilient and creative nature is apparent in the vibrant NGO scene. The opportunities to help are plentiful and today many local businesses are taking responsibly for giving back to the local communities and fostering sustainable development. 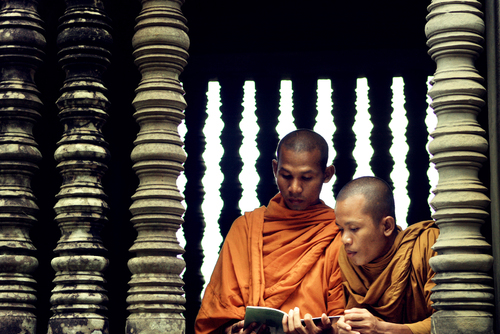 When you travel to Cambodia with Soulful Concepts, you will be supporting the Small Business Start-Up Program of the Shinta Mani Foundation, based in Siem Reap. Working in the areas of education, healthcare, and business development the Foundation focuses on empowering individuals living and working in the Siem Reap area. The Small Business Start-Up Program provides interest free small business loans to local entrepreneurs. Loans cover the start up costs and are given in the forms of materials needed while additional support, such as business management education and training, are also available to loan recipients. Once a loan is repaid the funding goes back into the program allowing it fund another enterprise within the community. Your contribution to this program helps local communities to become self-sustaining and self developing, creating job opportunities and building a network of local enterprises. As always, by participating in responsible tourism that respects and honours the people and places you visit, you are helping to support the local communities in sustaining their way of life. Your travel time in their home country and your interest in their culture helps bring money to the community, supports local guides, fishermen and artisans, and allows them to take pride in their heritage and traditions. 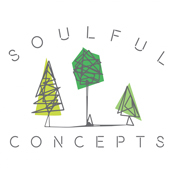 By joining us in supporting socially and environmentally conscious businesses, you are helping NGOs have a positive impact through holistic community development.